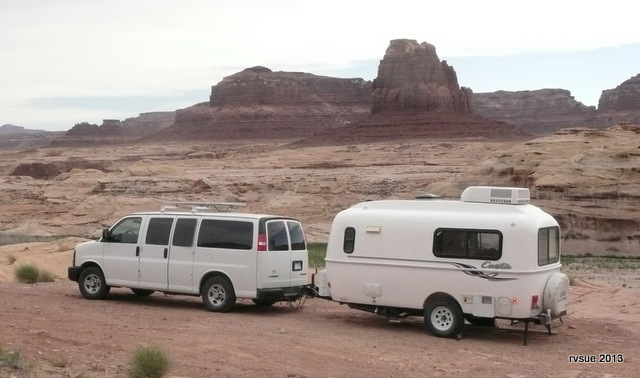 This entry was posted in Simple living and tagged boondocking, Capitol Reef, casita, Goblin Valley State Park, Hite, Lake Powell, OHV, RVing, Travel, Utah. Bookmark the permalink. We are going to start calling you RVTease instead of RVSue. But I understand the “full”. We had to camp the last two nights in a “gasp” commercial RV park because 6 months ago we couldn’t get reservations in Escalante State Park – two hours after reservations opened! We’re headed for NO reservation Red Canyon NFS park tomorrow but we plan to arrive early so should be no problem. This country ain’t Texas but it surely is fascinating. Your last line gave me a chuckle! Good ol’ Texas pride! Reine, two hours after the booking window opens at most NP and coast state parks is about 1 hour and 59 minutes too late. On booking day I set my alarm, turn on my computer, warm up my fingers and get ready to rumble! Seriously. I don’t even remember how I found anything before the internet. No, it’s not all sagebrush plain. 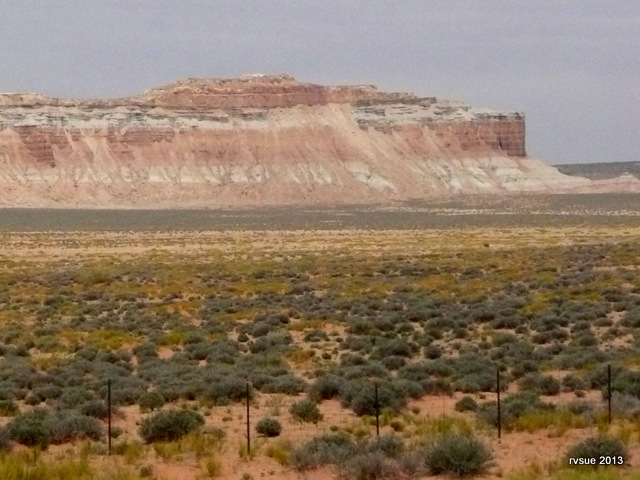 The San Rafael Reef offers mesas and canyons. It’s a twisty maze of dirt roads climbing in and around rock formations. Wow I can’t wait to hear. We will be headed west in August. I look forward to learning again from reading about your adventure. I’m anxious to tell you about it! I have to stop at some point or my blog posts will be too long. RVSe’s blogs too long ??? NEVER !!! DANGED “U” STICKS !!! RVSue ! There are a couple of campsites along that canyon road that are absolutely gorgeous. And I probably would hate Goblin Valley State Park’s campground! Geri and I loved it! I didn’t miss the goblins, haven’t taken the blog to that point yet. It’s the campground with all the children that I’m happy I missed. Weekends (Friday and Saturday nights) are the times I usually stay in private RV parks. Public campgrounds are too busy for me on the weekends. And noisy. Besides, it gives me a chance to charge all my electronics, take a ‘real’ shower in my motorhome without worrying about filling up my tanks, cook rice in my rice maker, do laundry; grind coffee and fill my water tank. Maybe watch a little baseball on TV, too! 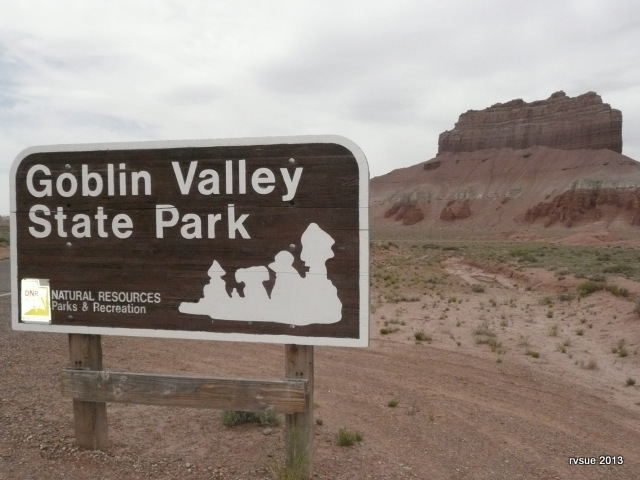 Goblin Valley is out by itself… No towns around, no RV parks, just the state park or dispersed camping on your own. I expected to find weekend crowds but I didn’t think about most of the sites being reserve sites and therefore not open. Oh well, live and learn. It turned out I was forced to find something better! Yep, who’da thunk? Glad you found a better place–one without ATVs! I’ve never taken that part of 95 but, my! It looks breathtaking! PS: Is the road good? 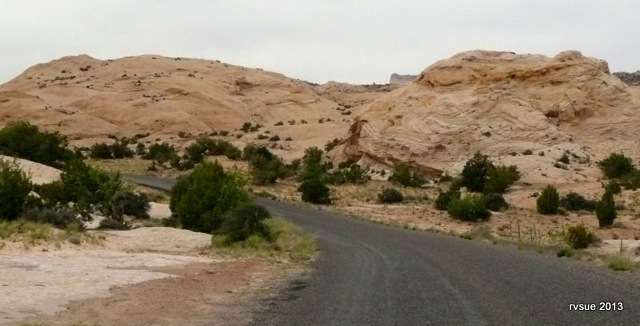 Oh, Sue….Capitol Reef is the absolutely most gorgeous park in Utah, the very best. There are boondock sites around Boulder City, south of Boulder Mountain on the Burr Trail, along Cottonwood Creek, and then again large tracts of BLM land just before you go back into the NP along the western boundary, before the Burr Trail switchbacks. Of course you don’t want to do those. I have NEVER camped at Goblin, it is always crowded. 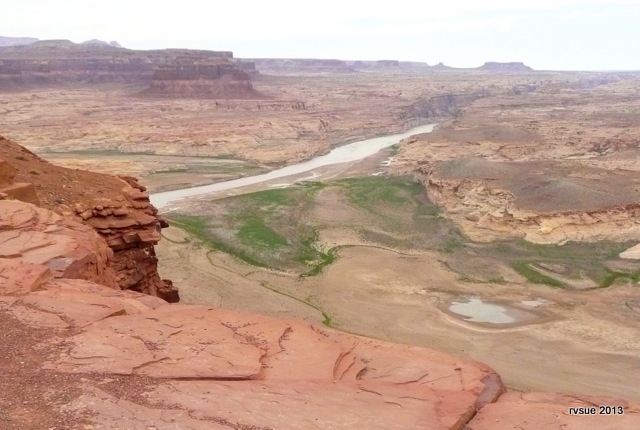 There is another place up near the San Rafael Swell, north of Goblin, I have boondocked and slept in the back of my pickup alone there a lot, on the road leading into Little Wildhorse Canyon. Best slot to hike if you like slots but are a bit scared of them. It is only 2 km in the narrows and gorgeous. This is heaven on earth country, my country, soul of the earth country, but you have to know where the good spots are. I hope you have found some of them by now. I really hope you don’t bail before you see Capitol Reef, really. It is a secret park, looks like nothing when you are in the NP campground and visitor center, but the waterpocket fold is 100 miles long and open to magic. sigh. I guess I am wishing i was there right now. Sue Malone and RV Sue… if you haven’t yet read any of the books by Chinle Miller (available on Kindle) you should! 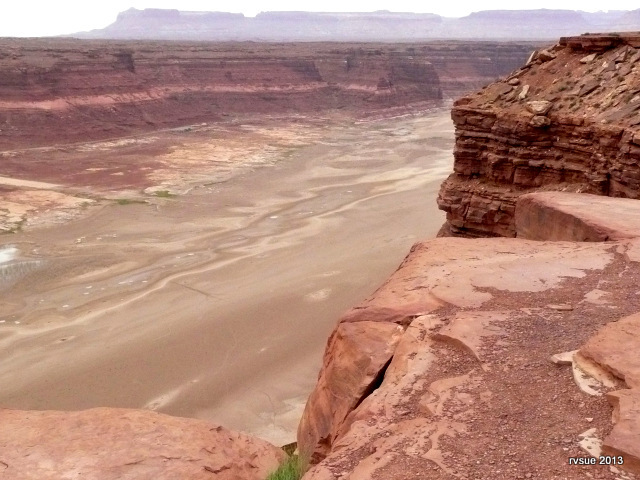 Her books are fun adventures all along the San Rafel, Capitoal Reef and Moab areas! She lives there and describes the area the only way a person who loves her life there can! The books are fun and describes the area through Chinle’s eyes! I think you both would enjoy them! I believe there are 4 in all. Wonderful! I’ll go find them today! 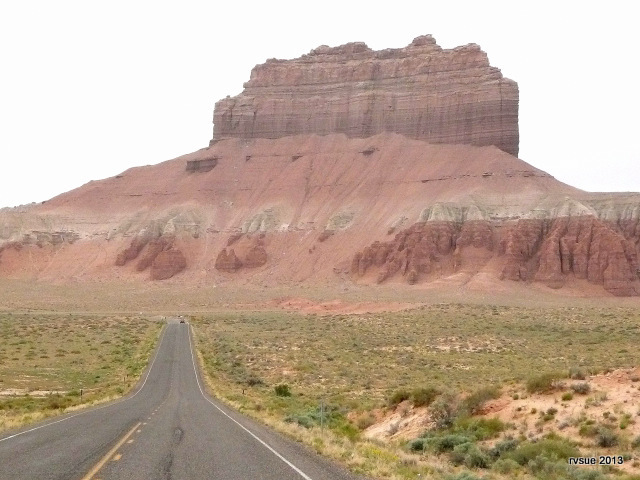 I think you like Capitol Reef. 🙂 I appreciate all the detailed information. Stay tuned! 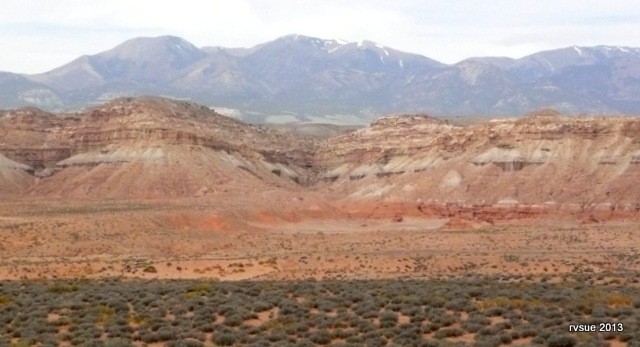 maybe your lovely quiet boondock is my favorite place in the San Rafael Swell!! I can’t wait to find out. Thanks, I am see the United States through your eyes. I have one question, how do you avoid the bad weather? I hope you fine a sleeping site. I could write pages and pages on how to avoid bad weather. 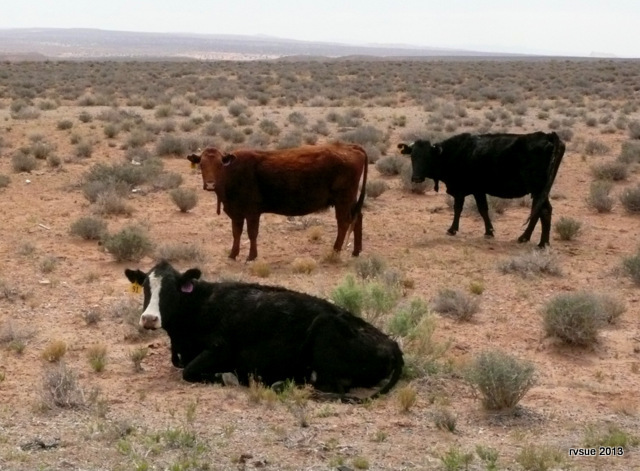 The most important way to stay out of bad weather is camp in the Southwest! I don’t know how much you know about U.S. weather. Tornadoes, hurricanes, and snowstorms are more frequent in other parts of the country. As for methods, I simply read weather forecasts online. The key in the Southwest is elevation, because extremes in temperature and wind are what you want to avoid. I stay in the low desert of southern AZ for the winter and I’m careful not to drive into higher elevations too early in the spring. It’s not difficult to travel so that many days are mild with no rain. Sorry, Dawn. I’ll try to post before the end of the day! Your post are never to long for us. I am always disappointed when I hit the end of your daily post. Thank you, Ron. You say the sweetest things. As for that milkshake, I would have conked out about 30 minutes later. Those darn things put me to sleep! Must be the carbs. Hi, Ladybug! I’ll probably wait another 20 years before I have another milkshake. I remember that days I could eat anything I wanted and not gain a pound. This is like watching the final season episode of your favorite TV show with the “big cliffhanger” and then having to wait until September to see what happens — except, we get to find out in the next 24-48 hours! I didn’t set out to make the post a cliffhanger. It turned out so long . . . I’ll post the rest of the story later today. Yes, the crew and I are definitely having a different sort of trip in the PTV. I know about “family car” vacations! 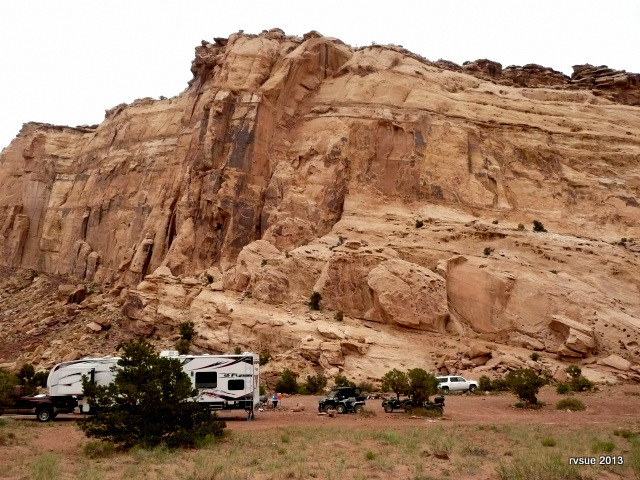 If you are still in the area, you might try the boondocking sites in Capitol Reef NP. We rented a jeep when we were there and traveled down the unpaved, but passable, Notem-Bullfrog Road that goes south through the park from the main road. 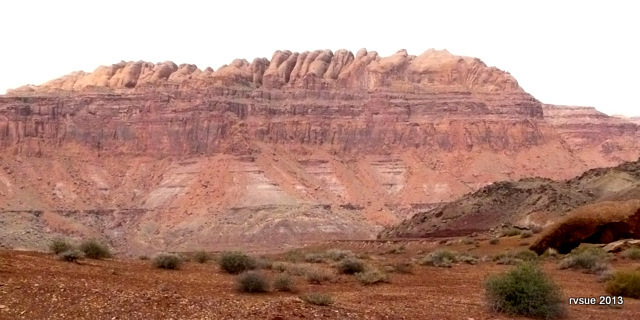 We stopped at a campground in a beautiful area (hardly anyone there) to do a great hike (Red Canyon). The campground was virtually empty except for some geology students and their professor. It might be your kind of place. The unpaved road was in decent shape last year and the scenery was like nothing I have seen before, or since. I haven’t explored Capito Reef NP yet. Signs say “camp in campgrounds only.” Maybe that’s only for certain roads. Hi Dixie …I really didn’t intend to tease you! (Classic statement of Teases the world over, right?) Glad you like my ramblings and the photos. Just to clarify, the Notem-Bullfrog Road is on the east side of the park and is not the paved road that runs south in the center of the park at the former town of Fruita. The Notem-Bullfrog Road follows the water pocket fold that Sue refers to. Thank you, Roger, for all the good information. I know the crew and I aren’t up to the level of hiking that you and Dianne do. We shall see what we shall see . . .
Great comment: “You MIGHT be able to get there with the BLT.” Ha! I’ll get out my Benchmark atlas and look up the places you and others have mentioned. Thank you. 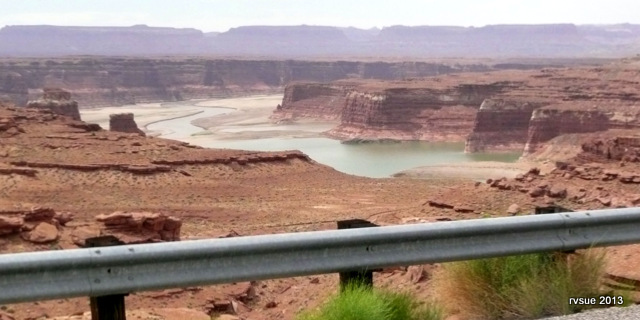 Utah is a very enticing State and you are in some of the most enticing area. I never got tired of the formations and the beauty during the 4 seasons we spent in that area. I watched a program about people who spend time on a space ship near Hanksville. 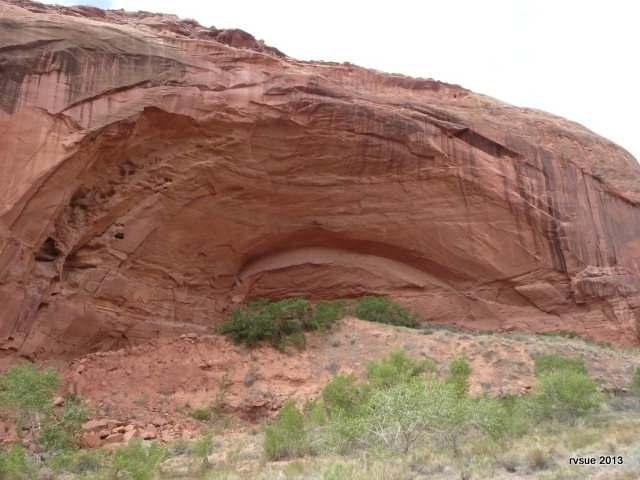 Hope you get to spend time at Capitol Reef! Safe travels! What beautiful photos… nothing like an RV Sue cliffhanger!! I so agree….waiting to see where you “land”…..I am reminded of those “pick your path” books my kids used to read. Only in this situation Sue is “picking the path” for us. Well if I could post an emoticon here it would be a bug eye…Now I’ll be checking every few hours until I know where you found to lay your head. I love the photos and give some smoochies to the pups. So sorry to keep you waiting, MK! I want to post right this minute but I’m still in the process of coming out of the migraine I woke up with this morning. It’s the kind of headache that drains the energy out of me and leaves me with waves of nausea for several hours. I’m feeling pretty good right now (late afternoon). I slept all morning. I’m fine! In fact, I almost have the next post done! I used to think Utah was nothing but hot barren wasteland that should be avoided. But thanks to you Sue, Utah is now at the top of my list of places to visit if I ever get the chance. Gorgeous scenery! Thank you so much for sharing your experiences with us. One thing I’ve learned since hitting the road and traveling through the Western states — All my preconceived ideas about the West are not worth much. I’m frequently surprised. I’ll never forget the time I saw a cactus growing at the base of a pine tree in Arizona. Never thought those two would grow together. Hi Marilyn… I looked up Hanksville on wikipedia and it says the elevation in 4,295 ft. Goblin Valley SP is probably close to that because I don’t recall much change in elevation. Maybe a search of the park will tell you better. I’m glad my blog gave you some diversion while you were sick. And I’m very glad you are feeling better and getting ready to take the RV somewhere! Wow Sue I am watching the news and the horrible tornadoes that hit Oklahoma. I hope you were not hit with any of that bad weather! No tornadoes here, John. Nice of you to think of us. I’m worried about reader Emily O and others who are in Kansas, maybe some in Oklahoma. Doing fine, we had 2 the other day but were about 10 miles south of us. Am feeling very down for those folks south and east of me – in Kansas and Oklahoma and any other areas in the path of this huge, huge system. Oh, I’m so glad you weren’t hit, Emily, although it’s terrible for those who were. Thanks for checking in here. The photos were beyond wonderful. No camera on earth can do justice to the beauty your eyes must have seen on this drive. Years ago I visited the Grand Canyon and thought (before I got there) that it would be pretty. When I got to the viewing place I could not even speak I was so overwhelmed. Glad you’re feeling better. You are so right, Susan. I feel like apologizing for every photo because they’re shabby compared to the real thing. Swimming I have been told is the best excersize. I think walking comes in second. The natural rythum of the human body with swinging arms is all I do and I have lost 13 lbs in the last couple of weeks. You’ll probably have a hard time excersizing by walking the dogs as they stop and go all the time. Have to get the heart beat up a bit but I don’t push it. Speaking of milk shakes, I went to a 1950’s cafe today called Debbie’s Dinner in Medford Oregon and had a strawberry malt. It sure was lip smacking good…it was fun celebrating the lost 13 pounds ha. Hi Sue. I haven’t heard from you for a few days and am wondering if everything is OK.